Well, my friends, I had a disastrous month for reading in May! If you didn't know, I had an accident earlier this year which left me pretty immobile for a long time and during May I was given the go-ahead to get back to things, so I've gone from doing hardly anything except for sitting down to doing a lot which has had a bad effect on my reading. I got hardly anything read at all (sob!). I've also been doing a bit of early reading, which is enjoyable, but it doesn't count as a book read and I can't blog about it because everything is so subject to change. I am hopeful I can get back to things in June, though I am going to be working full time for the first time since I had children which is going to take some getting used to. If you don't hear much from me in June you will know I'm either trying to catch up with the cleaning or I'm an exhausted husk of a person! Aside from the books from May that I didn't manage to get to I have a couple of new reads planned in for June. 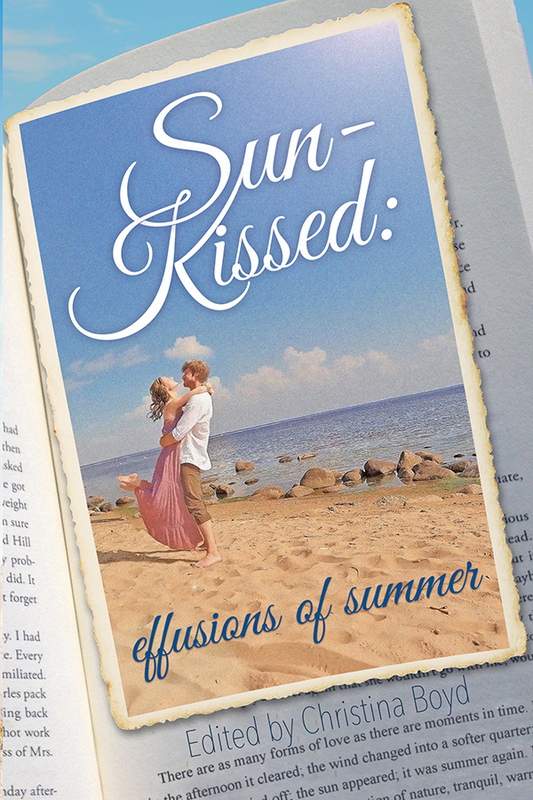 My other planned read is 'Sunkissed: Effusions of Summer', which is a short story anthology. Earlier in the year Meryton Press ran a short story competition and the four stories judged to be the best from the entries are in this book, plus stories from some of Meryton Press's other authors are included. I've enjoyed books by all of these authors, so I'm looking forward to reading this book. There will be a blog tour for this book in June, with guest posts, excerpts, reviews (including mine) and chances to win copies of the book, so keep an eye out for that. I'm posting my planned a day early because I have a guest post scheduled in for tomorrow. 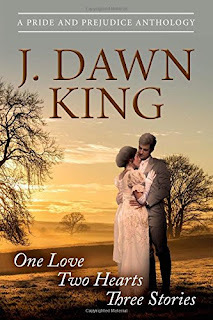 The lovely Joy Dawn King will be here, with a post about her inspiration and a giveaway of her latest book, 'One Love - Two Hearts - Three Stories; A Pride & Prejudice Anthology' which is now available in both print and ebook format. I hope you have some good reads planned for June, and more reading time than I think I'll manage! Happy reading, everybody! I'm so glad you were able to do a lot! That's much better than being immobile! I'm so glad you're healing! Bummer about having to go back to work full time though. I hope you're not too exhausted! I hope you have a wonderful June! Happy Reading! Thanks Candy, it's going ok so far, though I have no time to do things, I feel like I'm constantly rushing to get things done and have no time to relax. I know as time goes on it'll just become the new norm and things will be easier... I hope so anyway :) Happy reading to you too, my friend! I agree with Candy and the Villarreals. It's great you are back running, but sad it will cut into your reading time. I look forward to your reviews on the books you've chosen (including mine, of course). What a challenging year this has been! I'm glad to hear you're up and around again after the accident. All the best with your work and I hope you'll be able to find time to read. Thank you Sarah. You are quite right, this year has been challenging, but there have been good things about it too, I guess there is a silver lining to most clouds if you look for it. I hope for reading time soon! Getting back up to speed is so exhausting, but worth it. I imagine the new job will put a bite in the reading time, but congratulations too b/c I'm sure it helps all around. 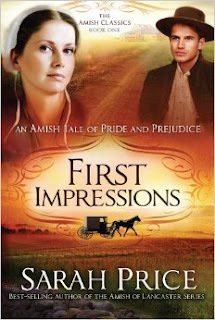 I am so curious about the Amish Austenesque book and I was glad to see it in your choices of June Pick It reads. Oooh, Joy's new book looks good. Yes, I think it's good for me to be working, not just for the extra money, but to really feel like I'm contributing. I'm very curious about the Amish book too. The price of the Emma one in the series just dropped so I picked that up and it's in the cavernous kindle too. I did not know about your accident as I am a fairly new subscriber to your blog. (I found I so appreciated your comments on Goodreads, it was only natural to follow your blog.) I have read two of your planned reads and Sun-Kissed is soon-to-be read by me. I also like many of the authors and liked the cover-reveal recently posted. I lived, growing up, fairly close to the Pennsylvania Dutch community (Yes, that is the other name by which the Amish go.). Deutsch/Dutch...mistaken in knowing what the word really meant...German. Plus I lived among the Mennonites growing up. One of my best friends was a member of that community and I had a crush on her older brother. I have read some of that genre but not that particular book and I never posted any reviews. My sister reads that genre (Amish love stories) a lot. Looking forward to hearing more and best of luck returning to work full time...you do have a lot on your plate. Take care of Number 1. My accident was pretty unlucky really, I fell awkwardly playing netball and dislocated my hip, which broke the ball joint at the top of my thigh, meaning I needed surgery and couldn't bear weight on it for two months, by which time my muscles had gone all weak. I am getting there, I feel better week by week and I have been told by the doctor that I can even play netball again if I want to, but that's not going to happen! I never put two and two together and realised they said Dutch meaning Deutsch! I've seen TV programmes about the Amish, but it must give you a different perspective if you have known people from that community. In June I'm reading Suddenly Mrs Darcy for review on Austenprose. Then I'm reading Joy's book, and Collette Cameron's Virtue and Valor. That was my thinking too, Monica, an Amish JAFF might be a good introduction to Amish stories. I will look forward to reading your reviews Monica!